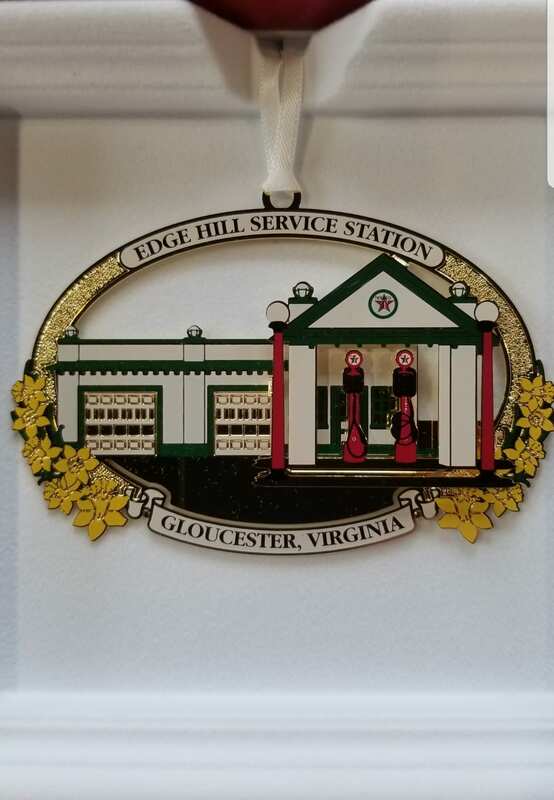 The Gloucester County Historical Committee is excited to announce they are offering this year’s commemorative historical ornament, featuring the historic Edge Hill Service Station (now the CAPE)! The ornament costs $18 and is available for purchase at the Gloucester Museum of History, Gloucester County Library-Virginia, Gloucester County Treasurer’s Office, and the Visit Gloucester Virginia (Visitor’s Center). For $20, ornaments can also be ordered and shipped. Please contact Gloucester Museum of History at 804-693-1234 for more info or the Gloucester Visitors Center at 804-693-3215.